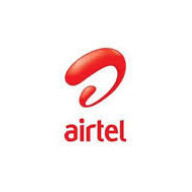 SmartConnect 2.0 from Airtel, is another tariff plan from the smartphone network that gives 6 times the value of your recharge plus free data. Cool isn't it?, Airtel SmartConnect is similar to Glo Jollific 8 which offer 8 times your recharge value plus data. and also MTN yafunyafun Bonus which gives mtn subscribers 5 times their recharge value. Airtel SmartConnect 2.0 offer is available to all airtel prepaid customers, giving out six times the value of every recharge to call all networks in Nigeria. • First get an Airtel sim, if you are not a subscriber and register it. Airtel SmartConnect Charges 50k/s for all calls both from the Main Account and Bonus account. Its not surprising, that's N30 per minute. It clearly shows that's one ways to make you exhaust both main and bonus airtime quickly. I have shown you all you need to know about Airtel SmartConnect 2.0, it's up to you to choose to subscribe to it if you are satisfied with the offer.